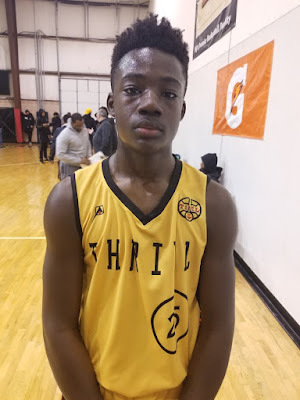 Jeff Exinor Forward (Team Thrill) – Jeff anchors the paint for his team on both ends of the floor. He is a strong bruiser with skill. He has range out to the 3 point line but that is not where his bread is buttered. We saw him hit a nice turnaround jumper from the baseline and make a free throw line jumper with a nice soft touch. He rebounds well on both ends of the floor and gets most of his points overpowering the defense around the basket. He finished with a big 19 points in the championship and 8 point in the semifinal. Kameron Carter Guard (Team Thrill) – This pint size point guard has the ball on a string. He can navigate the floor dribbling through the defense and can basically be a one man press break using his quick burst, change of direction and ball handling ability. If you are on his team you better pay attention because he might hit you with a pinpoint pass that you weren’t expecting. He can knock down the 3ball as he hit two of them in the championship finishing with 8 points. 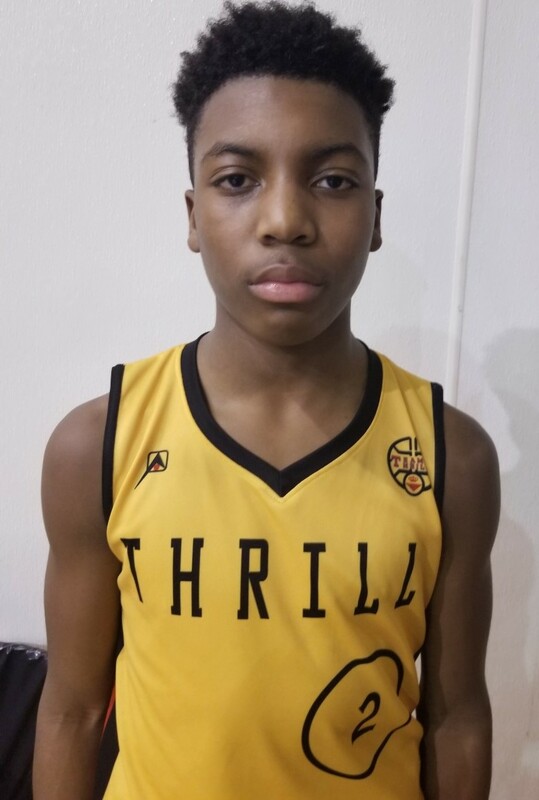 Lawrence Brown Guard (Team Thrill) – Brown is Carter’s backcourt mate and he is small but tough with a lot of skill. He too can get anywhere he wants on the court with his elite ball handling skills and he can drop dimes also. It is a luxury to have two point guards as good as Brown and Carter on one team. Lawrence exploded for a huge 15 points (2 trey balls) in their huge semifinal win over Black Ops. 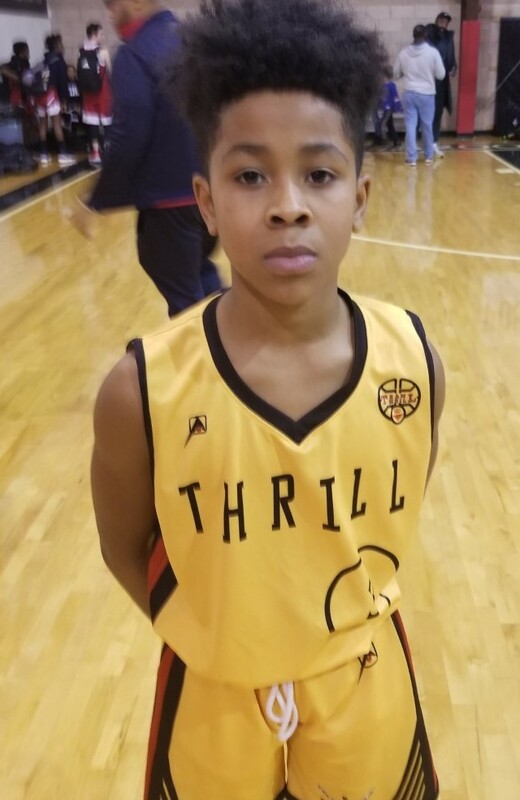 Tyler Marshall Guard (Team Thrill) – Marshall is a strong guard that does all the little things to help a team win. He rebounds, gets loose balls, and is a tough defender. He is at his best attacking the rim and when he gets fouled he can knock down his free throws. He is a good rebounder that can push the rock himself after he gathers the rebound. 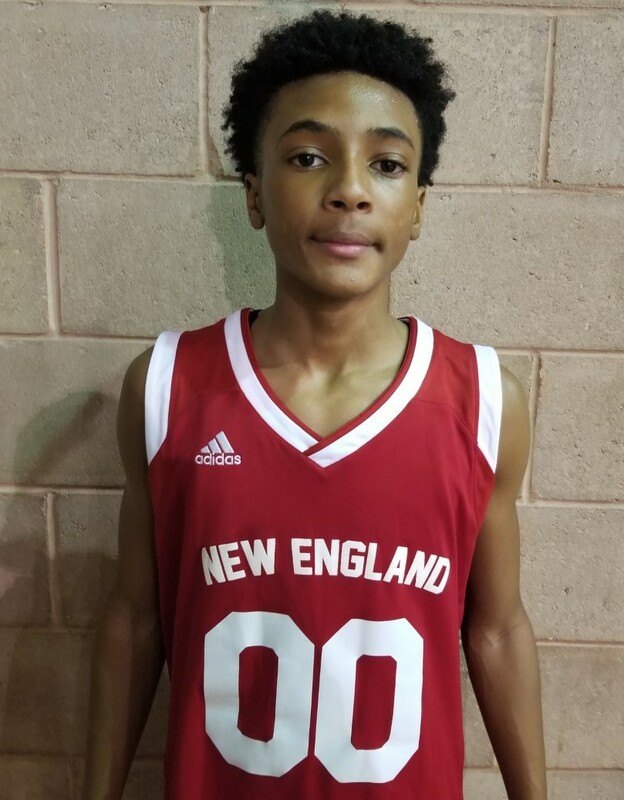 Jamari Robinson Guard (TNE/Rivals) – Jamari is a long lefty guard that can do it all for his team. He scores, rebounds, defends and takes care of a lot of the ball handling duties. He is fast from end line to end line with the ball in his hands attacking the rim with a purpose. With his length he can guard all three perimeter positions and he causes problems for the opposing offensive players. 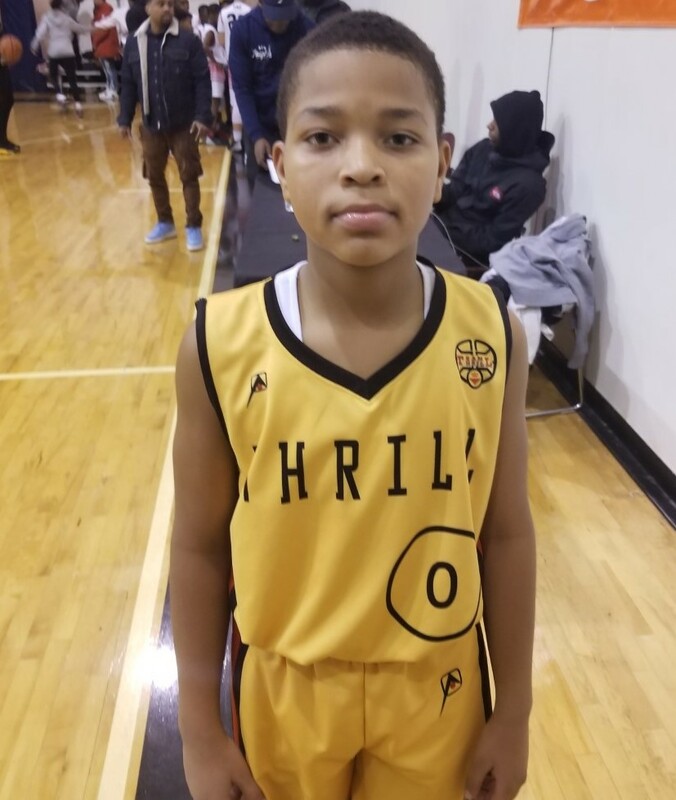 He has 9 points in the championship loss to Team Thrill. Anicet Dybantsa Jr. 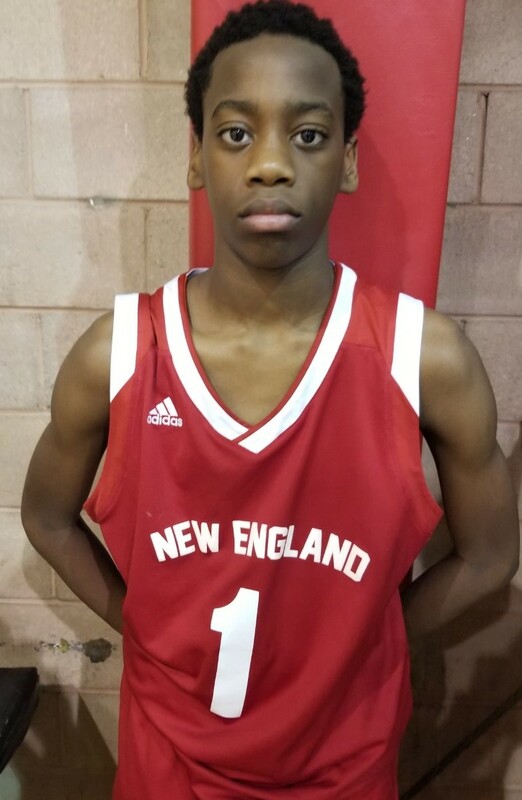 Forward (TNE/Rivals) – Anicet is a real long wing forward with a handle. He looks like he will continue to stretch out and be a match up problem on both ends of the floor. He is good attacking the basket and finishing in transition but also can knock down his jumper. He finished with 10 points in the game watched. 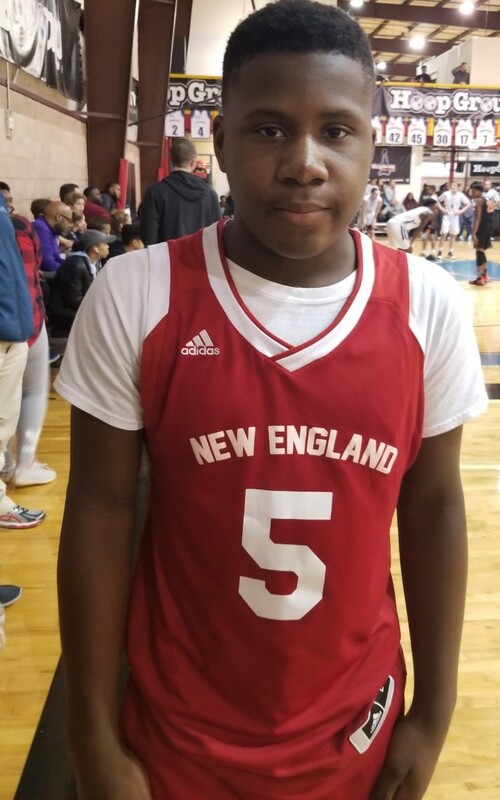 Edward Turay Forward (TNE/Rivals) – Turay is the big bruising forward that patrols the paint for his squad. Right now he is more a defensive player rebounding and blocking shots but he can finish around the basket. He knows his role and does it well which is important for a player to play to his strengths and help their team win. 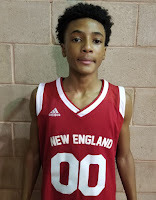 Dylan Dugas Guard (TNE/Rivals) – Dugas is a scoring threat on his team. He has good size for a wing guard and knows how to get to the FT line where he converts at a high percentage. He can knock down his jump shot but showed he is at his best when getting to the line. 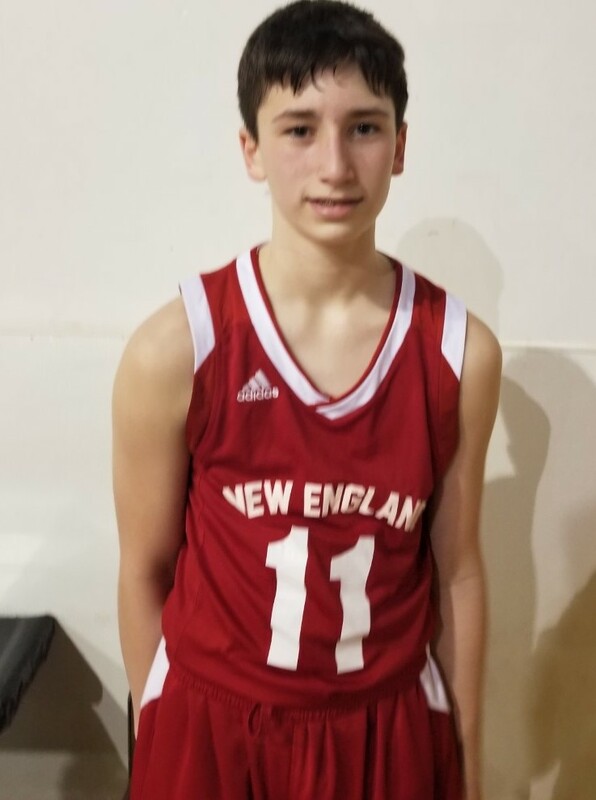 He scored a team high 7 points in the TNE/Rivals balanced scoring attack during their big semifinal win over YW Ballers.